MENDOCINCO, CA (MPG) - Tourism to Mendocino County remains 100 percent operational with all major highways, lodging and attractions unaffected despite the flank of wildfires located in the region’s wilderness areas, according to Visit Mendocino County. As of August 8, 2018 only six percent (6%) of the Ranch Fire is located within Mendocino County. www.VisitMendocino.com. Northern California’s crown jewel, comprising 4,000 sq., miles -- roughly the size of Delaware, Rhode Island and the District of Columbia combined – reports that its 90 miles of Pacific coastline, 11 wine appellations and inland tourism areas are open for business. The Mendocino Complex Fire remains in a remote wilderness region 60+ miles east of the coastal destinations of Fort Bragg and Mendocino. 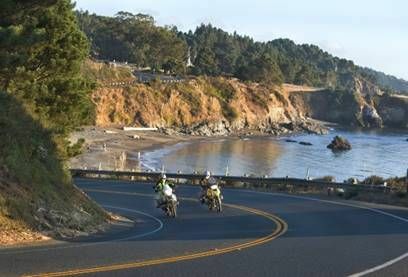 California Scenic Highway 1 and Mendocino’s “Inspiration Highway” 101 welcome visitors, along with the county’s 450+ hotel properties and 90+ wine tasting venues. Key tourism sites including the cities of Ukiah, Hopland and Willits as well as the nearby attractions of the City of 10,000 Buddhas, Ridgewood Ranch (home of Seabiscuit), the Skunk Train, Vichy and Orr Hot Springs and the ancient redwood forests of Montgomery Woods State Reserve remain untouched.